Adtran 1202052L1 TSU 100E DSU/CSU w/ 2-YEAR Warranty! MODEL: MCMGBSC15. MANUFACTURER PART NUMBER: 065030836296,MCMGBSC15. FUNCTIONALITY: Power on Tested, no other functions have been tested. Accessories, remotes, software, power cords, cables, etc. are not included unless pictured. ProCurve Gigabit-LX-LC Mini-GBIC is a small form factor pluggable (SFP) gigabit LX transceiver that provides a full-duplex gigabit solution up to 10 km (single mode) or 550 m (multimode). Model: CX 900E. About: We are NES Sales, Northeast's industrial source. Notes: Does not include stand. Sold as-is, as pictured. HP BladeSystem c-Class 10Gb SFP SR Transceiver. Quality New and Refurbished IT parts with up to 80% off the RRP. Tech Hardware Deals. Gigabit LX LC Mini GBIC Tranceiver. (1) NEW Axiom HP ProCurve Compatible. IN ALL 50 STATES OF U.S.A. All are in similar EXCELLENT NEW condition. (Internal Order # 01811). P/N: J4859C-AX. SPARE # 453578-001 453156-001. CONDITION: NEW IN PLASTIC CLAM SHELL --- LOT OF 2 ---. PART # 453154-B21. 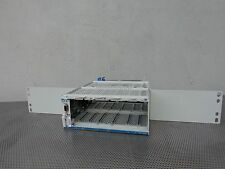 This lot is for oneADTRAN TDU 120eDC Rackmount System Dual OCU DP Module. ALWAYS HERE TO HELP. A signed credit card authorization form is required for all orders paid with credit card. This unit will arrive in the condition shown. PART # 00D9690. SPARE# 00D9692. These converters are in new condition. (1) Digital Link DL2170 CSU card. Model: DL2170 Solo T1. Solo T1 CSU. Manufacturer: Digital Link. Se habla espanol! Manufacturer:Quick Eagle. Convert D4/AMI DTE to be compatible with ESF/B8ZS networks. 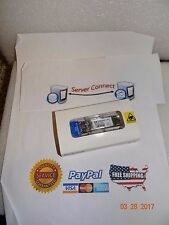 Adtran T1 CSU ACE (3rd Gen) (1203022L1) 1.5 Mbps Transceiver, Item comes new in box. Box was opened to verify items inside prior to sale. Shipped with USPS Priority Mail. Part #: J8437A. J8437A-(EDPR). Defective or Not Described. Then we will. Wrong size doesn't fit. Or it doesn't fit your application and is marked No longer want the item. Model:QFR 1181415L1. P/N: QFR 1181415L1. Manufacturer: Adtran. Se habla espanol! MPN: 77965023. CLEI: NCCSDHT4AB. Kentrox T-SERVII CSU STD ALONE. Available for sale is a MILGO Excalibur DAP Modem 15-09C523001AF. What’s Included. Factory Sealed. As Seen on the pictures. Adtran Total Access 604 ADSL, 4th Generation. Mounting Brackets. New HP ProCurve 10-GbE SFP SR_duplicate - SFP transceiver module - 10 Gigabit EN - 10GBase-SR - 850 nm. HP ProCurve 10-GbE SFP SR_duplicate - SFP transceiver module - 10 Gigabit EN - 10GBase-SR - 850 nm. The item shows almost no signs of wear/scratches as can be seen in the pictures. For sale is a line or locally powered Adtran T200 F ractional T1N etworkI nterfaceD evice (FNID 1245201L1 ) with included Adran wallmount enclosure. Unit is tested and in excellent working condition. 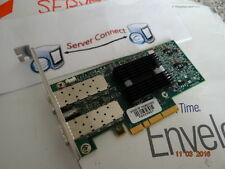 Interfaces/Ports 1 x 10GBase-SR. Interfaces/Ports Details 1 x LC 10GBase-SR Network. 1 1200376L1 RCU module. 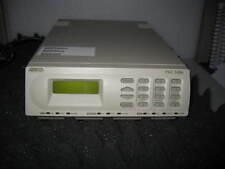 For sale is an Adtran Total Access 750 which includes 2 1175408L2 FXS modules. 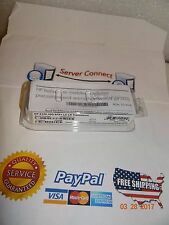 Hewlett Packard X121 1G SFP LC SX Transceiver- Brand New. Condition is New. Shipped with USPS First Class Package. 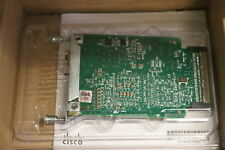 Adtran TSU 100e 1202052L1 T1/FT1 DSU/CSU w/V.35, Embedded SNMP, 10BaseT Ethernet, Expansion Slot, Multiplexer. However you find us, you will know you have the backing of our warranty. PART NUMBER: ET91000LCOAM. This unit is in very good condition with minor wear from normal usage(see pictures). CONDITION: Used. Adtran 1202011L1 DSU III AR Data Service Unit DDSUJ602AA GOOD! Unit passes Self Test and is in excellent working condition. Manufacturer Part Number J9054C. Product Model X111. Product Type SFP. Interfaces / Ports Details 1 x LC Simplex 100Base-FX Network. Green Compliance Certificate / Authority RoHS. Green Compliant Yes. 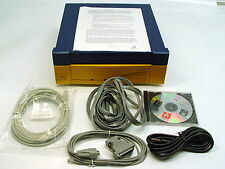 What’s Included: 1x Adtran TSU ACE Modem. Manufacturer: Adtran. Modem is unused surplus. Form Factor: external. Enclosure Type: external. Line Coding Format: AMI, B8ZS. Line Rate: T-1. Framing Format: ANSI T1.403, AT&T 54016, D4, ESF. For use with NETGEAR Prosafe Smart, Layer 2 and Layer 3 managed switches. The AGM731F provides 1000BASE-SX fiber optic connectivity using LC connectors. Part Number: 1200376L1. Direct: 1-336-899-0595. 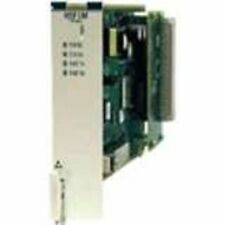 Adtran FSU5622 ESP Dual FXO Frad Card 1200187L1. Features - Dual FXO Card. HPE X132 J9151A 10G SFP LC LR Transceiver This item is new as shown. Model: J9151A. Part Number: J9151A. MPN: J9151A. We hope our service will exceed your expectations! If you're not sure, ask and we'll let you know. Location: Shelf 2. If we say the item works, then it was tested to the best of our ability. We have listed all model information that we have available. We strive to provide all information that we have on hand and do our best to describe and photograph every part. NOTE: SEE PIC WHAT YOU GET FOR MORE DETAIL. OTHER ACCESSORIES NOT SHOWN IN PICTURE ARE NOT INCLUDED!